Description: Low angle shot of a giant overhead video screen on Fremont Street in Las Vegas Nevada. 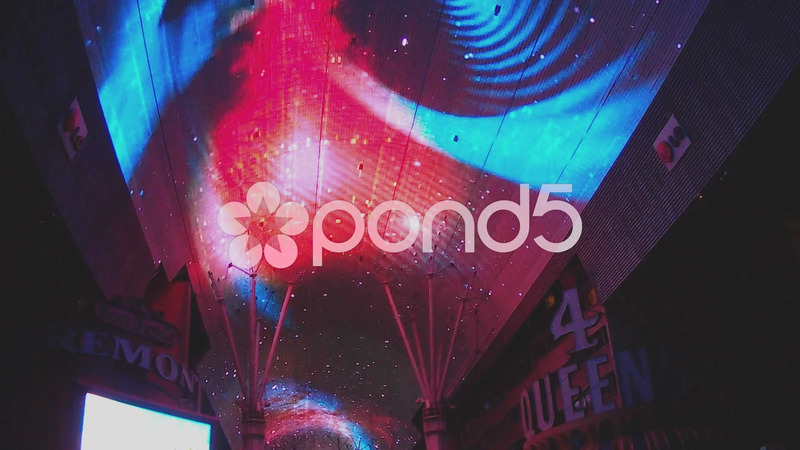 Bold and bright colorful lighting inspires the imagination as a part of the Fremont Street Experience. Part of a series of clips by ChromaVid featuring signs and symbols stock video.